Baseball starts tonight in Tokyo! This is what you can reasonably expect from your teams in the upcoming 2019 MLB regular season. Spoiler alert: fans of the Houston Astros, New York Yankees and Boston Red Sox can still expect their teams to dominate the AL, and the Dodgers should be good once again. 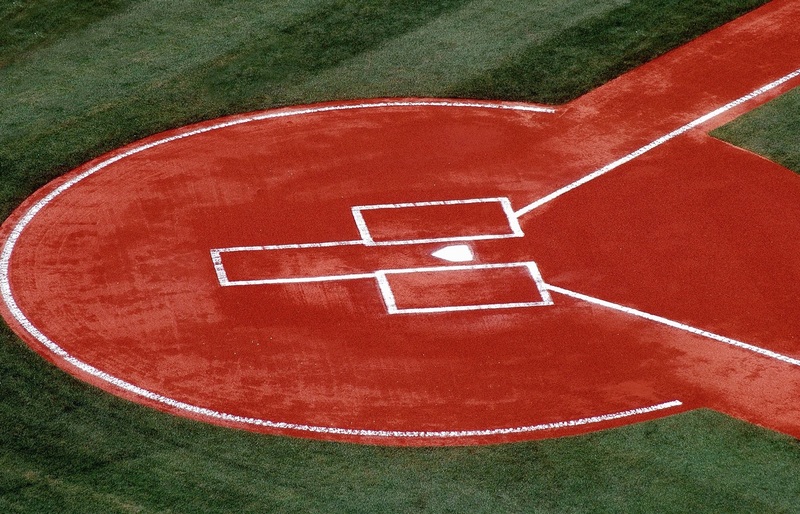 Atlanta, Philadelphia, Washington and the New York Mets all project to finish within a game of one another. Baltimore will be bad (again). Team depth is calculated using Tom Tango's WARcel method based on Fangraphs' WAR (see last year's projections for an explanation of how I employed that method to seed my numbers). Depth informs the Elo score I will assign to (seed) teams at the start of the season for that portion of their RPScore. Median W and Median W/G (expected record) are the numbers you're looking for regarding team projections. These numbers come with an 80% margin of error of +/- 12.2 games, and a 50% margin of error of +/- 6.5 games. 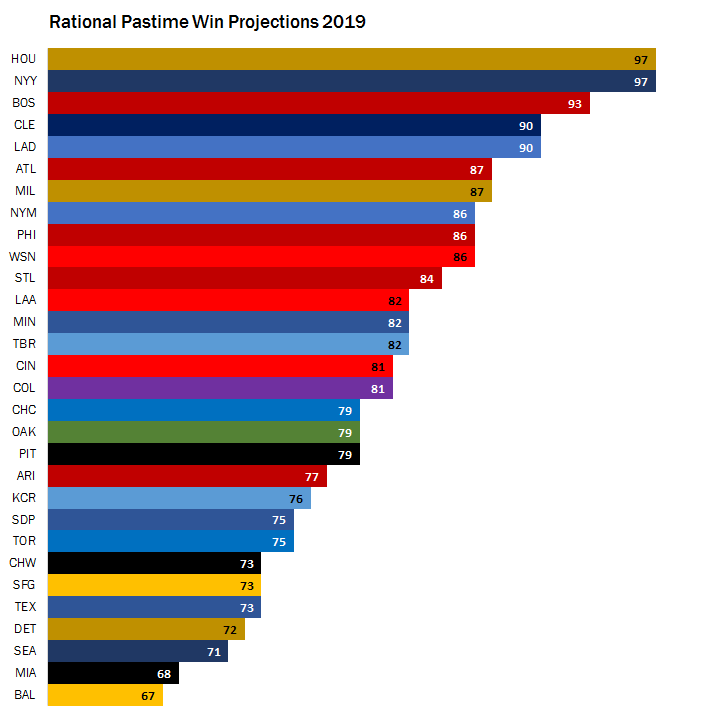 Speaking of last year's projections, how'd we do? Better than expected, actually. Initially I estimated an 80% margin of error of +/- 14 games. Turns out that was conservative: the 80th percentile adjusted* root square error turned out to be about 11.1, meaning that I could have claimed a +/- 11.1 margin of error and gotten away with it. I'll be sticking with my current Monte Carlo estimation method, tweaking it if it continues to look conservative. *By "adjusted," I mean I'm giving myself a break for not predicting two Games 163 or that a Miami-Pittsburgh match-up would be cancelled. Either way, only four teams finished more than 14 games better or worse than my preseason projection: Atlanta (low by 17), Tampa Bay (low by 19), Oakland (low by 24) and Baltimore (high by 30; ouch). Here's hoping for similar levels of precision in 2019. And that's it for now. I'll return to updating my RPScores and projections sometime this Spring. See you in the sports pages!